Times are changing for your girl, I wasn't too impressed with my skin care routine and was in need of some desperate moisture. I found myself at Ulta grabbing all of the things. 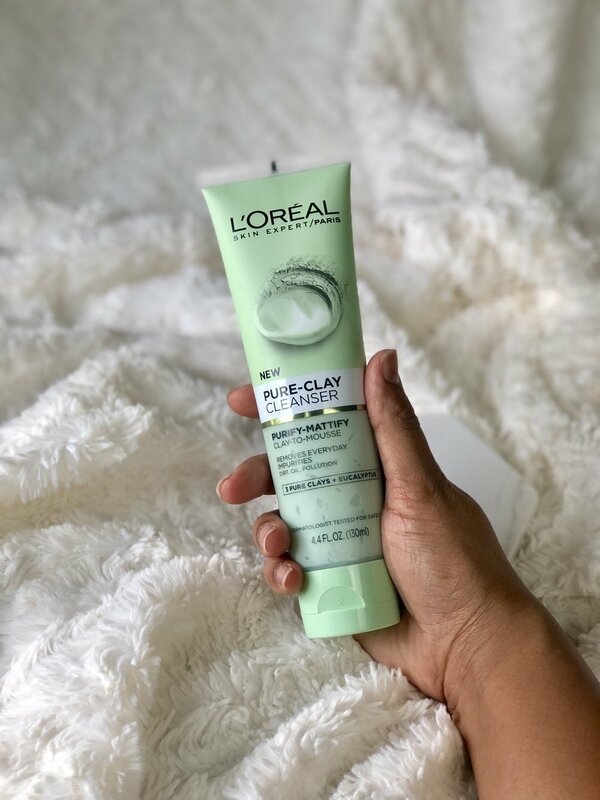 Keep reading if you want to hear more about my current skin care routine and what I did to take my skin from drab to fab! I am going to go over all of the amazing things I have been doing to keep my skin healthy this year. But first if you haven't read what I eat to keep my skin looking great read this post from last week! My normal skin care routine was using Dove Body was on my face to remove my make up and then using regular lotion on my face too. I know, I know! I didn't think anything of it until I started wearing make up and my face would feel so dry and blah underneath it all. 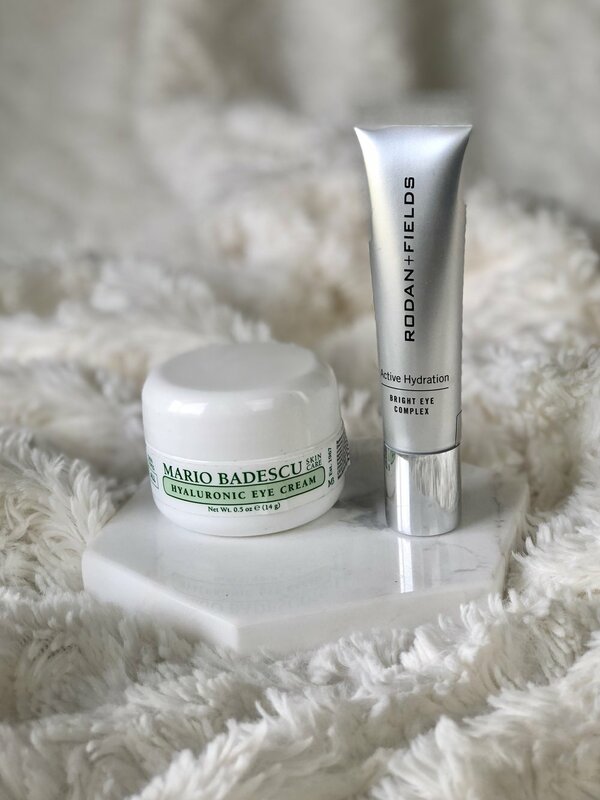 While I love makeup and creating looks for the blog, I want to make sure that I am starting with great skin before I apply anything on my face. I also would love to prevent wrinkles and all that jazz. When I walked into Ulta the girl was restocking this brand and told me it was pretty great, I know how sometimes they are there to promote a specific product during a certain time. 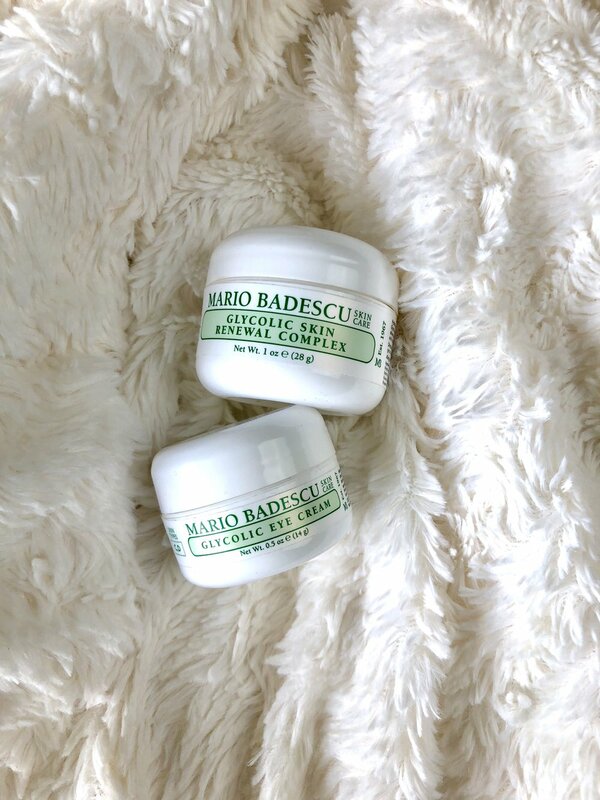 But when I noticed the pricing, she told me that Mario Badescu didn't use fancy packaging so that he could keep cost down so great skin care products could get in the hands of women & men everywhere. Without outrageously breaking the bank, so of course naturally I bought it all. The glycolic foaming cleanser is used just 2-3 times a week to help with a subtle clean. The cleansing milk is by far my favorite because it feels like you are applying lotion then washing it away but still keeping all of the moisture. 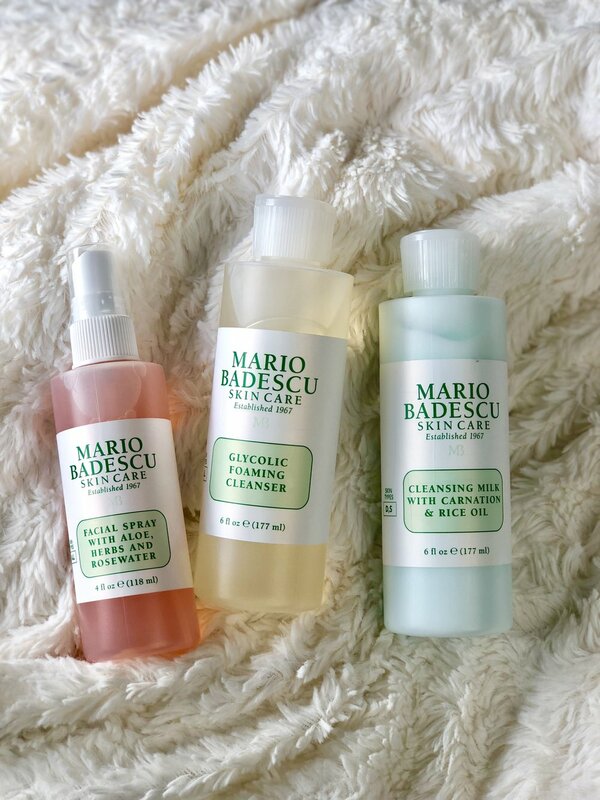 The facial spray is great for setting makeup and using during those hot days when you need a little less sweat on your face and a little more Rose water. The glycolic eye cream & skin complex has been so so good for my skin. It feels so refreshed and soft after just a couple of days. Jaxon would even rub my face at times because it was so soft. 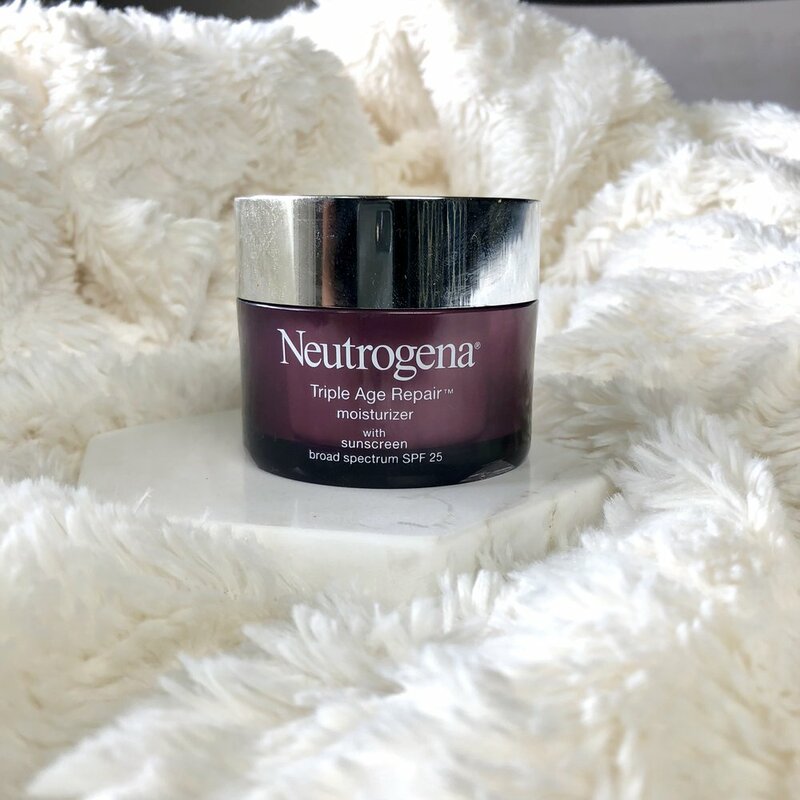 The Neutrogena Triple age repair, I picked up to try while I was shopping at Wal-Mart & overall it is a great product, I love that it has SPF 25 in it so I'm also getting sun protection as well. The Rodan & Fields - bright eye complex has been assisting with moisture and those naturally inherited dark circles, now this isn't an overnight success product but I have been loving the changes I have noticed. This is my go-to mask when I just want a skin refresher, I don't do it everyday even though this is a product you totally can use daily. I use it maybe once or twice every two weeks. And that sums it up for my current skin care routine. Be sure you are avoiding things that make you break out as much as humanly possible, and making sure you are getting more nutrients that benefit your skin. If there are any products you are loving I'd love to know more, catch up with me on social or email me I'd love to hear from you!